Lemmings 2: The Tribes - Games - SMS Power! Unreleased game, despite being 100% done and approved. 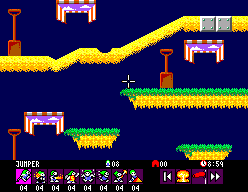 See Lemmings 2 (SMS/GG) forum topic for some more information. 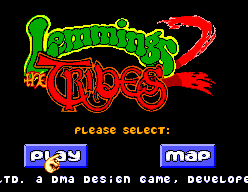 There is a development page for Lemmings 2: The Tribes. Visit it to see technical discussion of this game.